Thanks to everyone who attended our 5 sessions yesterday on Picturing Power: Innovative Visual Methods in Critical Geography! The day was full of excellent presentations and exciting discussion. AAG also live-tweeted our second session! 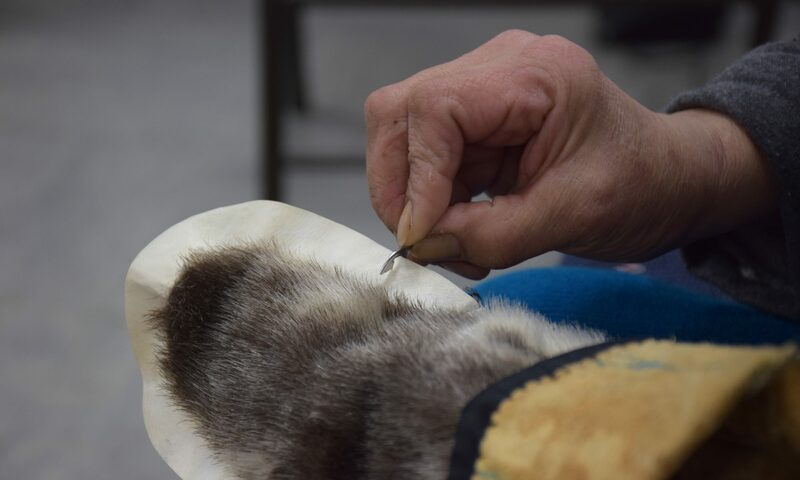 In the Global North, fibre-crafters are increasingly turning to visual and digital mediums to showcase their work, exchange ideas, cultivate communities, and generate income. While there are studies that address contemporary craft in online contexts, there is a paucity of research that examines the processes of making fibre-craft visible, and how the increased visuality of craft influences and impacts those working in craft industries. In this multi-media project, I begin to address this gap. Taking up the call for more creative and critical engagement with geographical research, I combine the testimonies of forty-two professionals working in the North American hand knitting industry (i.e., knitting designers, yarn dyers, yarn store owners, yarn manufacturers), with practices of image making and fibre-based craft, to produce a series of images and objects that reflexively engage the complex ways in which the ‘visual’ is bound up in the creative and labour practices, the work and living spaces, subjectivities, communities and politics of this diverse group of actors. The images and objects that are produced provide a conceptual, affective, and imaginative ‘space’ in which to grapple with the impacts of craft’s visual unfolding, and the nebulous political terrain that surrounds the making, consuming and studying of (craft) imagery. Allowing the images and objects to ‘speak for themselves’, they also serve as a medium through which to spark critical and reflexive dialogue with participants and audiences about the visual culture of craft, and the place and politics of arts-based academic research. This paper explores the visual culture surrounding the Creative City, creative entrepreneurship, and art in Toronto. If the image is a central site of communication and meaning-making (Rose, 2014), how does its deployment influence what we think of as creative space, and who we think of as creative? Can the image itself be used to complicate our understandings of creative place? This paper draws upon ethnographic research conducted within Toronto’s largely invisible geography of DIY creative workspaces – studios which are self-made for purposes of creative work. This study of urban placemaking and the production of creative space explores the role of the DIY workspace as a crucial form of creative space in the city that offers creative practitioners a level of spatial stability in the face of gentrification, development and upscaling across the downtown. While they have become essential elements of the Creative City, these spaces essentially constitute ‘non-places’ (Lehrer, 2006; Zukin, 1991) within its more spectacular landscape of formalized, purposive creative space. An exploration of the visual culture surrounding creative workspace, and the role of its image in professional identity and creative practice, reveals how these important spaces exist in a gray area between visible and invisible, private and public, and real and imagined. The paper discusses vernacular photography as a methodological tool in this work, useful in complicating narratives about and understandings of creative space, revealing visual culture as a central aspect of cultural production and placemaking, and uncovering otherwise unapparent contradictions and tensions in everyday life. In a just-completed book, I argue that critical socio-spatial theory has systematically neglected the directedness of embodied practice in favor of a one-sided emphasis on distance and proximity. Central to the argument is a series of graphical illustrations, inspired in part by the work of queer theorists Sara Ahmed on “orientation” and David Wills on “dorsality”. These illustrations are developed to represent the embodied character of directed practice and to depict various aspects of “occupation” as a form of power that intersects with more familiar power relations. In a range of unforeseeable ways, the process of developing the graphic illustrations fundamentally re-shaped the course of the argument itself, as graphical elements and decisions suggested unlooked-for reorganizations or enhancements of the conceptual framework. This paper recounts the latter process and invites critical discussion of the graphics themselves in the interest of their further development. The practice of mapping space is no longer reserved for geographers. Access to new technology such as Google Maps has popularized mapping. In 2016, there were 81.4 million mobile phone internet users in Brazil, which accounted for nearly 40 percent of the Brazilian population (Statista, 2018). As opposed to relying on maps produced by the city officials and elite, the power to reproduce social order and discourse through maps is extended, digitally, to those who previously had very little power. In a very similar way, Instagram is a virtual, multi-authored platform that symbolizes geographic realities by capturing time and space specific features or characteristics. Instagram allows users to share photographs representative of their specific experiences in space. As opposed to simply reproducing dominant discourses, Instagram users are collaboratively producing multiple discourses based on their own personal experiences. In accordance with Agamben (2009 ), the authors understand Instagram as a space that can ‘capture, orient, determine, intercept, model, control, or secure the gestures, behaviors, opinions, or discourses of living beings’. This paper will follow the term ‘favela’ to analyze the production of space, knowledge, and citizenship in Rio. The objective of this paper is to analyze what participatory, multi-authored representation tells us about the identities and positionalities of those producing the virtual space of favelas. What are the embodied (lived) experiences of favela life? What does self, social, and spatial representation mean in the context of favelas? And, what is the role of Instagram in today’s understanding of the favela space? Instagram–the widely popular photo sharing app–can be a useful tool in critical geographic studies of power and representation of place. This paper presents both a methodological reflection on challenges of using Instagram and an analysis of content about Africa and the perpetuation of common stereotypes. We analyzed thousands of images from 2012-2017 from the Everyday Africa project on Instagram, a project that explicitly aims to combat stereotypes of the continent by presenting what they call pictures of everyday, ‘normal’ life. The Everyday Africa project received critical acclaim and was featured in mainstream media as a transformative project. The creators of this project were two American photojournalists that partner with about a dozen photographers based in cities across the continent. In our analysis of the photographs, our main research question was whether the images on Everyday Africa reinforce or resist stereotypical narratives of the continent, as outlined by Myers (2001), Kiem (2013), and Wainaina (2006 & 2012). Although some alternative narratives emerged in our analysis, these alternative images were not the narratives that people responded to (liked) or engaged with (commented). The photographs that received the most audience engagement overwhelming conformed to common stereotypical representations of the continent, reinforcing long standing power dynamics that shape Western views of the continent. Most Indigenous cultures express a sacred connection to water and these connections to water are reflected in Indigenous legal systems and oral traditions. While the ongoing impacts of colonialism and capitalism have threatened this connection, participatory photography and visual methods, such as Photovoice, emerge as a promising methodology to engage Indigenous youth in telling their stories of how they connect with, perceive, and experience water and water issues in their lives. Indigenous people, including youth, are increasingly making their homes in urban areas. According to the 2016 Canadian census the 867,415 Indigenous people living in a metropolitan area now represent over half (51.8%) of the total Indigenous population: an increase of 59% between 2006 and 2016. Yet, the voice of urban Indigenous people has been largely absent from the growing literature on Indigenous water governance, water stewardship, and Indigenous Knowledge. In this presentation, I will provide a brief literature review on Photovoice and engage with case studies from within that literature that use this visual method with youth and Indigenous communities to understand how the various researchers have sought to Indigenize the Photovoice methodology. 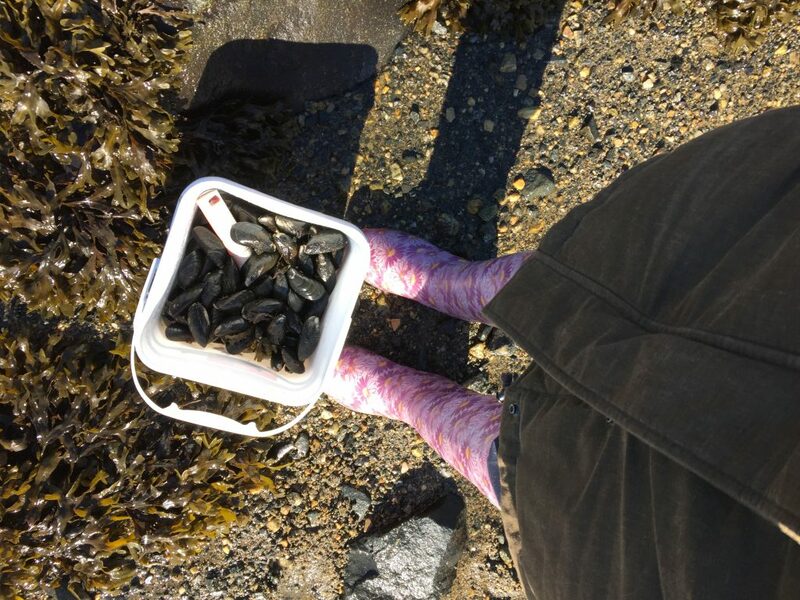 I end with an introduction to my proposed research on the relationships between urban Indigenous youth of the Unceded Coast Salish territory of Metro Vancouver have with water. This work aims to understand these relationships and queries how Indigenous Knowledge arising in this context can and does informs Indigenous water stewardship and water governance. Through a case study of photographs of petroleum extraction in Canada’s Athabasca tar sands region, we consider how images inform and complicate how we understand damage and the ongoing possibilities of life in environmental sacrifice zones. In understanding that knowledge, relationships, and struggle are formed and happen in place, in this collaboration we wonder: can we trace the formation of, and consumption of images of extraction in place? To put another way, can we look at looking in place? What can the methods of reading the visual allow us to ask across spaces and times? How might we read images (of places) alongside the place itself? Our method of foregrounding geography places the erasure and dismissal of Indigenous knowledges about land, brought about through the colonization of the Americas and how this relates to contemporary practices of extractive capitalism at the center of our inquiry. We bring together art historical methods with place-based research to read against the singular indexicality of images to instead read them as a “simultaneous environment,” situating it historically and excavating the context of its production. Human geography has embraced both empirical and critical visual methods as valuable forms of illuminating place-based experiences. In relation to the experience of toxic places, geographers have begun theorizing Rob Nixon’s slow violence, in which toxic experiences are compounded over decades of living in place, causing health effects and a gradual degradation of life. Thom Davies builds on slow violence by relying on the slow observations of residents as a lens into the everyday life in toxic places and as a temporal lens of place-based environmental change. This paper bridges the gap between slow violence and critical visual methodologies to show that photo-based methods are suited to illuminate nuanced and hidden experiences, thereby making slow violence visible. My research draws on a combination of open-ended interviews and a mix of photo-based methodologies in which the co-creation of the image adds to the understanding of the hidden nature of industrial toxicity and suffering. I first discuss recent contributions to slow violence. I then analyze visual and critical visual methodologies and their contributions to human geography. Finally, I discuss my case study in which I theorize how the experience of slow violence alters place meaning and show how a comprehensive approach to photo-methodologies allows for flexibility in rural settings, allowing the co-creation of knowledge of hidden toxic places. What is your water story? Using participatory video to expand understandings of water security and support sustainable management measures in The Sixaola River Basin. Culturally-shared views and narratives of water fundamentally shape people’s understanding of, and experience of, water (in)security. Moreover, these cultural dimensions extend beyond understanding “water as a resource” to include spirituality, identity, values, stewardship, and a relational sense of responsibility to other beings (collectively referred to as ‘non-material dimensions of water’). Recognizing the influence of non-material dimensions of water may aid in reconciling potential and persistent gaps to address water security. Through a case study of the Sixaola River Basin — a transboundary river basin shared between Costa Rica, Panamá and five indigenous communities: the Bríbrí, Naso, Cabecar, Brunca and Ngöbe, this paper addresses this consequential knowledge gap by employing a community and arts-based participatory research framework by way of engaging communities and institutions as research partners to co-create the data, products, and insights of this project. Participatory video, storytelling and narratives, and photography used to conduct this work were adapted to “the culture and context” of the study area, with the goal of enabling participants to have a stake and voice, shaping the direction, form, and design of this research. In this case, the narratives and non–material dimensions are of critical importance, yet there is little in the way of broader engagement with these questions in other work on water governance. Fundamentally, this paper explores the effectiveness of co-managed research, in particular, participatory video and storytelling to provide critical insights into how meaning systems are operationalized for Sixaola River Basin residents to tell their own stories, in their own words. As a result of the continuous interaction between society and environment, the landscape requires constant monitoring to govern its transformations. Its components can be consistent with each other and give the observer a feeling of aesthetic quality, or they may not be integrated and reveal a difficult co-existence between the natural environment and humankind. 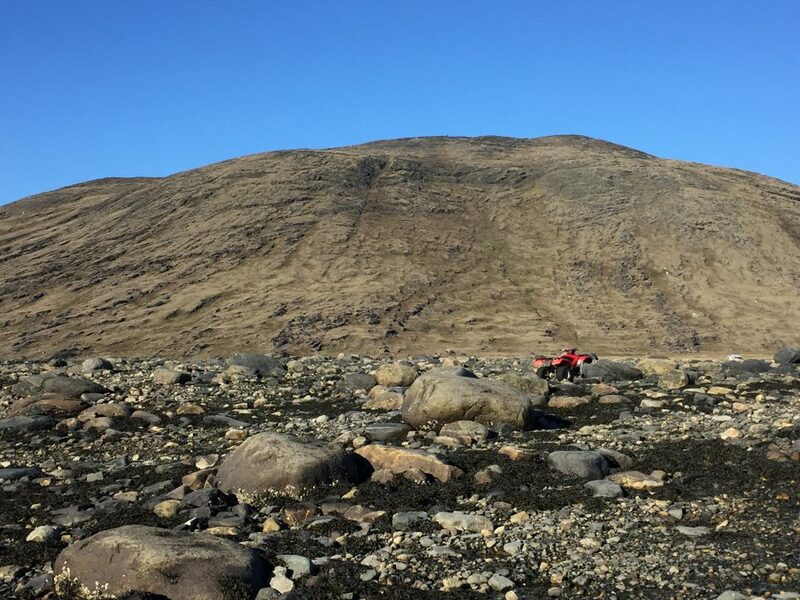 What can we learn about landscape degradation from the way the people look at the material traces of human activity in the landscapes around them? We argue that respondent-produced photographs offer an opportunity to give voice to lay people, who are generally excluded from the policy-making process, and promote critical reflection on the present state of local landscapes and the co-production of geographical knowledge. The photographs are also potentially an instrument to communicate an insider perspective to those who make decisions on the future of those landscapes. Thus, this work reflects on the implementation and outcomes of a photography competition, launched by our research group, which allowed photography lovers to capture, in a picture, not only the beauty of natural landscapes in the Friuli Venezia Giulia region in Italy, but also the critical aspects in its natural, urban and industrial areas. The photography competition, complemented by photo-elicitation interviews, provided to be a creative data collection method. The photographs enabled the participants to become more aware of the problems afflicting the region and to denounce the inability of local authorities and single citizens to make the best use of the resources around them. 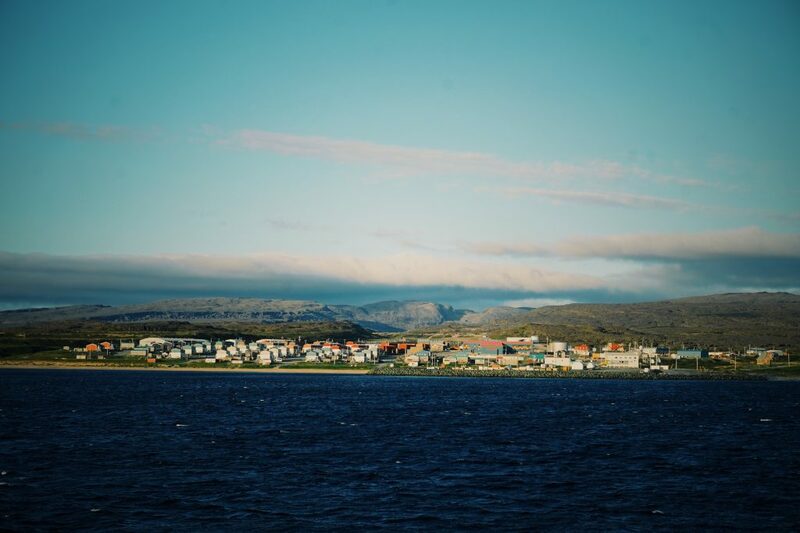 The past few years have witnessed the rise of xenophobic rhetoric and anti-immigrant sentiment in countries of the Global North at a scale unseen in decades. While immigrants from non-European backgrounds have long been racialized in settler societies, the rise of far-right, white nationalist and anti-immigrant political movements and governments across western liberal democracies have ushered in a new age of unsettling visibility and vulnerability for newcomers. How do immigrants see their new homes and communities under such circumstances? In this paper, I draw on one aspect of a much larger project exploring the experience of resettled refugees in smaller cities and towns (rather than large metropolitan gateways) in the US over the past decade. I look at the results of a community-based initiative to use photovoice as a way of identifying places of importance and areas in need of improvement for refugee populations. This effort was meant to map and document such spaces by the research team and to critique and redefine such meaning-making with our community collaborators, all with the goal of intervening in urban planning decisions and investments by the city and state in specific neighborhoods. But in an era of heightened scrutiny and tension within and among immigrant communities, what does it mean to make oneself and one’s significant places so visible—to outsiders of all kinds? In this paper, I explore the ethics, challenges and possibilities of using visual methods such as photovoice as a tool for intervention in the daily life of immigrant neighborhoods. If “visual art can propel people into seeing something differently” (Leavy 2015: 228), then as researchers, we can apply this “aesthetic intervention” (hooks 1995) to the co-production, analysis, and dissemination of visual materials. Working with children ages 4—14 to investigate the everyday violence of biospatial policing (Kaufman 2016), we collaborate to produce a range of visual materials. Methods include unprompted sketching, cognitive mapping, and comic-creation, guided by the ‘maker movement approach’ (Compton and Thompson 2018); children map their experiences in space and time (Dittmer 2010: 222). Materials generate conversations between subject and researcher; if disseminated, they may “broadcast pressing social messages in irrefutable ways,” and project children’s voices into realms they are scarcely heard in (Mitchell et al. 2011: 26). Challenges include resistance to art-making by underserved and overdisciplined children (“I’m bad at it” “My art teacher puts me in time out” “if I want to express myself I play videogames”) despite reassurances that content, not artistry matters (Mitchell et al. 2011). While consent procedures mandate respect for refusal, how should we treat resistance based on self-doubt? How can visual methods be informed by an ethics of care (Lawson 2007; Puig de la Bellacasa 2017)? How might participatory art-making empower children under-represented in visual arts (hooks 1995)? This paper explores arts-based research practice, methods most effective in eliciting conversation or policy responses, the practice of care in fieldwork, and ensuing ethical and methodological dilemmas. In many academic fields today, cinematic representations are rich sources through which researchers recognize and interpret phenomena. Using cinema as the global form of visual texts is both useful and to some extent even necessary in the study of urban phenomena. Geography was probably the first discipline that continuously attempted to conceptualize the notion of ‘cinematic city.’ The relationship between city and cinema, then, has been taken into consideration from the perspective of Art, film and media studies, and architecture. In recent years, although this interdisciplinary topic has been addressed by scholars with the background in urban planning and design, little in the way of effective, continuous utilization of movies in urban studies has occurred. The failure is not necessarily appreciation, but capability; arguably, the lack of an urban-oriented methodology is an important reason why urban studies has not paid deep attention to the cinema to date. From a critical interpretive position, using a qualitative approach, this study has developed a new, dynamic methodological framework to show how researchers may interpret the city and its urban experience through cinema. Based on Peirce’s triadic model of semiotics and his famous Icon/index/symbol typological distinction, using urban theory, ‘urban cinesemiotics’ helps an interpreter to get close and closer to the final ‘interpretant.’ In relation to the dynamic notion of ‘object,’ this study shows how the dynamic interpretation of image-signs can move us toward a different way of thinking about the process of urban experience. This paper interrogates Lefebvre’s right to the city through a visual ethnography of social movements in Thessaloniki, Greece in May, 2018. Based on photographs and field notes taken surrounding Thessaloniki’s central axis between Via Ignatia and Upper Aristotelous Square, we reimagine the right to the city through visual means as a knitting together of subjects, materials, and traces in a multivocal, dissonant “revelation” of rights. We consider the placemaking tactics of the Thessaloniki Pride march and its appropriation of Upper Aristotelous Square as a space for, as Lefebvre elicits, “simultaneity and encounter” through book exchanges, pop-up information kiosks, and shops proffering household wares produced by autonomous workers’ collectives around Thessaloniki. Yet this enactment occurs along a persisting continuity of displacement and marginalization, evidenced by a fracas observed within a migrant encampment across the square; we explore the right to the city here as a condition of the possible, where margins meet, situating a constellation of arguments for subjecthood and citizenship in urban space. Finally, we analyze claims of rights of return of two groups – Palestinian Greeks and Pontic Greeks – as social movements responding to political violence. In the former case, we offer a visual reading of a peaceful rally commemorating the 70th anniversary of Palestinian Nakba Day in the aftermath of the murder of unarmed protestors in the West Bank, while in the latter case, we unpack the assault on the mayor of Thessaloniki during a march honoring Pontic Greek victims of genocide during World War I.
Participatory visual methods have become increasingly recognized as powerful tools for geographical thought and practice as they move beyond discursive representations of lived experiences. In contrast to conventional research approaches, visual methods aim to facilitate collaborative knowledge production, increase participants’ tools for self-representation, and balance power in researcher-respondent relationships. Reflecting on the contributions of photovoice for research with populations on the political, economic and social ‘fringe’, our paper incorporates findings from case studies in two Southeast Asian locales: Hanoi, Vietnam and Wakatobi, Indonesia. Here, we draw on photovoice (2015—2016) with street vendors navigating state sanctions aimed at eliminating informal vending from Hanoi—Vietnam’s Capital. Photovoice carried out with small-scale fishers in Wakatobi (2013—2015), on the other hand focuses on citizen-state negotiations concerned with resource access and livelihood viability. Together, these case studies highlight the role of photovoice in providing insights into situated experiences of everyday survival; furthermore, we find that innovative participatory methods, such as photovoice, play an integral role in revealing otherwise obscured perspectives and daily politics of life on the ‘margins’ of dominant societies. Our paper engages with debates on the usefulness and limitations of photovoice. We argue that photovoice requires a substantial degree of investment—from participants and researchers—though it plays an integral role in garnering knowledge on situated experiences of ‘life on the margin’. Additionally, participatory visual methods in critical research can present significant political implications for respondents, which researchers must hedge against with rigour. The use of creative visual methods in research with young people–such as photovoice and mental mapping–has been criticized for reproducing a parochial preoccupation with local-scale micropolitics. The converse holds true in critical geopolitics, which has shown a reluctance to engage with creative visual methodologies and often exhibits a tendency to reify the very state-centric scopic regimes that critical geopolitics intends to de-center. Indeed, until somewhat recently, there has been relatively little engagement between research in geographies of children and youth and critical geopolitics. Drawing upon community-based research with young people in Lebanon, Cyprus, and Palestine, this paper describes the use of digital storytelling as a participatory, youth-centered visual research method. We contend that this method enables an examination of how the everyday lives of young people unfold within broader geopolitical processes, while simultaneously allowing young people in “(post-)conflict societies” to challenge the dominant geopolitical narratives that so often frame their lives. Situated in the productive interplay between representation and affect, digital storytelling juxtaposes intimate voice and private snapshots with familiar sounds and archival images. As such, the medium highlights confluences and ruptures between individual stories and (geo)political narratives. Our intergenerational, place-based approach eschews the more individualistic notions typically mobilized by pedagogical applications of digital storytelling. Rather than using digital storytelling as a tool for introspective self-reflection, place-based digital storytelling encourages inter-subjective extrospection, a process of exploring how individual stories unfold within broader geopolitical narratives and intertwine with the stories of other people and places. Passing under the Broward Boulevard bridge, up the New River, in Fort Lauderdale, Florida, reveals an abrupt transformation of the river’s edge: well-tended gardens, bordered by concrete seawalls and yacht berths, give way to chain link, discontinuous bulkheads, and—no boats. In this “yachting capital of the world” moveable bridges allow pleasure boats to navigate between waterfront residences and ocean. The Broward bridge prevents passage of vessels larger than a dinghy into what was known under Jim Crow as “Colored Town,” suppressing black land value and wealth. However, an oral history project, held at the African American Research Library, shows that the bridge also led to the accidental preservation of this subtropical Eden, historical heart of the black community. 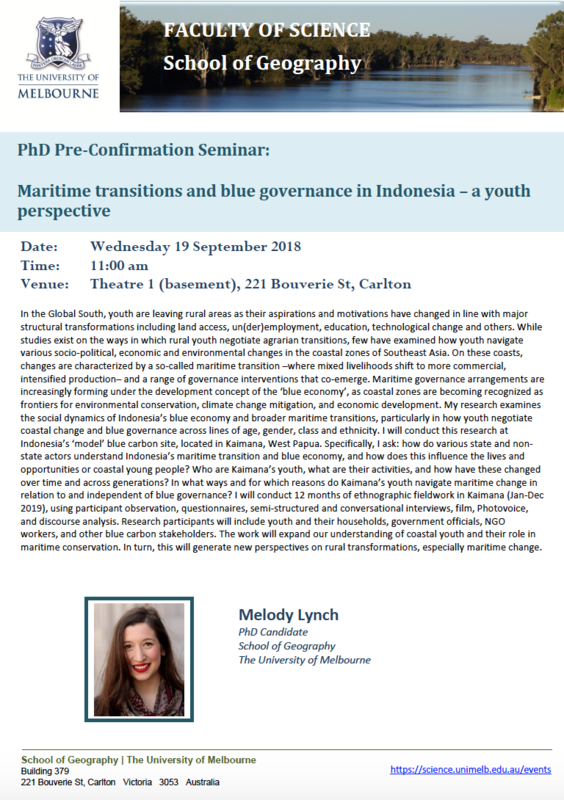 This paper is based on my ongoing research of the changing cultural geography of this riverine system and its effects on the material, social, and political landscape. The topic of race and uneven, complex, and even paradoxical development in this region has barely been studied, particularly through visual means. Drawing on my training as an architect, and on oral histories, local archives, GIS data, environmental reports, and formal analysis, I develop mixed-media techniques for disclosing new insights about the intersection of race, class, ecological health, and pleasure on this waterway. This paper is written by the Collective Aleph. Discussing open public and semi-public spaces of recreation and leisure, is a challenge when questioning who conceived them and for whom they are designed or serves. Not all of these socially accepted spaces are inclusive, ensure security, flourish and socializing, or arrange affection and comfort. Because they are thought and designed from the reductive heteronormative and homophobic lens (Roestone Collective, 2014), their characteristics produce differentiated effects on mobility and permanence and often produce exclusionary practices. We can, like Nancy Fraser (1990), ask if these spaces will not be the ones that allow the access of some groups and prevent others which leads to the debate on human rights, citizenship and the right to the city. In line with Linda McDowell’s (2000), we explore the sexually and socially constructed spaces in the city, from the lived experiences and felt atmospheres of everyday life dynamics of mobility and permanence, of a voluntary group of university students, of different self-determination of gender and sexual orientation, in Lisbon. Qualitative methodologies were used (in-depth interviews, participant observation, storytelling, story mapping, and a form-based data collection tool). This research translates into a digital platform (web-documentary), an online narrative of audiovisual and open navigation. This web-doc combines the stories, the senses and the emotions through multimedia tools (written texts, videos, images and audios). Exploring alternative identities and valuing non-normative ways of being young female/male the narratives illustrate experiences that deconstruct and reinterpret hegemonic models of living in the city. In this paper I explore ways photography depicts and interprets the industrial-urban landscape in two eras of development: “whirlpool” capitalist and socialist industrialization (modernity); and a “late” capitalist stage of globalized and decentralized development (post-modernity). To begin, I review the literature on cultural construction and interpretation of landscape. I then explore how selected photographers depict the evolving industrial-urban landscape, comparing and contrasting their work with respect to:(i) subject matter depicted; (ii) techniques used to compose and organize images; and (iii) the character of the visual narrative advanced. I distinguish between modernist interpretations such as those advanced by Albert Renger-Patzsch, Soviet pioneers Aleksandr Rodchenko and Boris Ignatovich, and the precisionist, Charles Sheeler, which variously present industrial landscapes as expressions of national power, the dignity of labor, or the virtues of technological progress; and postmodern interpretations associated with the work of Bernd and Hilla Becher, Robert Smithson, Lewis Baltz and other contemporary photographers who treat now ruined and exhausted landscapes as expressions of the failure of technology, the limits of economic growth, and the destructive effects of human activity on the environment. My conclusion is that photography is a fluid and dynamic art form which consistently supplies varied and interesting commentaries on powerful economic, social and cultural forces shaping and transforming the human-made landscape. Thousands of undocumented young adults who identify the United States as their true homeland have been deported to Mexico in recent years. The Mexico City based telemarketing industry has exploited the presence of these new arrivals, many of whom have limited Spanish language skills but are fluent in English. The neighborhood surrounding these businesses has been informally renamed “Little L.A.” and is an important urban space for the binational community. On the streets and in local restaurants within Little L.A., deportees and returnees meet, socialize, and organize to fight against discriminatory practices against them in Mexico and for the right to reunify with their families in the United States. Many organizers and active members of this emerging movement report that they feel a personal identification with Hollywood films, particularly epic Hollywood films. In some cases, members of this movement see their personal stories predating involvement with the movement reflected in the stories of epic commercial films. In other cases, epic films inspire an individual’s decision to join the movement, and in a few cases, movement organizers attribute epic Hollywood movies as an inspiration to make specific decisions or take specific actions within the movement. Therefore, it can be observed that epic Hollywood film plays an inspirational role in the development of this emerging social movement on the streets of Little L.A, and may indicate a broader role of commercial films with mythic themes in the formation of organizers of other movements. This paper, based on the author’s 5-year involvement in the recovery of the Lower 9th Ward, New Orleans, after Hurricane Katrina, provides critical perspectives on alternative visual languages’ potential in conceptualizing and realizing of more complex adaptive human-environment interactions and in asserting the interests of marginalized and vulnerable communities. Traditional visualization techniques in design and planning disciplines have emphasized the (rational) manipulation of space and the inscription of order and meaning and excluded visceral, unique and experiential qualities that are a fundamental precondition for the formation of place. Such emphasis on the rational, measurable reduces place to tabula rasa, destroying its inherent memories, meanings and identities, and disempowering the people it is inhabited by. The paper presents examples of alternative techniques and media for visualization and representation in the context of the recovery of post-disaster and post-industrial landscapes and communities. These play significant roles in counter-mapping, and attempt to facilitate the inclusion of multiple interpretations and voices in the discursive processes of intentional place change. They afford previously marginalized people and communities alternative instruments to exercise their “right to narrative” (Bhabha 2003), thus asserting their identity and empowering them to play a more significant role in the spatial design and planning processes that that habitually exclude and victimize them. As such, they serve as an alternative (primarily visual) language that provides a parallel “read” on extant and hypothetical/future places – a language that is frequently incompatible with traditional graphic media employed in spatial design and planning processes by hegemonial interests. This paper is about four short films on the city centre of Brussels, produced during a five-day workshop we have organised in October 2018, with eight PhD students, two video-makers and three teachers (us), set to explore the heterotopias and heterocronies of a huge construction site presently transforming the main boulevard into a pedestrian area. For their production, we have devised and experimented a method and exploratory practice of “immersive instant geotelling” (IIG), inspired by approaches of body and emotional immersion and disorientation, where the “privileged observer” is not only immersed, but also involved in the socio-spatial reality, acting upon it and perturbing it, even if only by the mere act of holding a camera and pointing it at people and spaces. The four films thus chronicle our errant roaming, encounter, astonishment and contrasting affects with places and people who live there. Bodies pushed by the city, chasing gazes, and us moving along and among smells, shapes, borders, people, and practices; the rhythms and temporalities of people and practices intersecting, overlapping and opposing the tectonic materiality, rhythms and sounds of the overblown building site, aimed at making the city centre more attractive and competitive within a neoliberal logic. Yet “other” geographies arise beyond these expectations, creeping into the interstices and unfolding socio-spatial-temporal margins, and new scenes, meanings, and hypothesis. We shall argue that the method and practice of IIG is apt to offer an embodiment of narratives of actions, representations, and their relationship to space by means of social practices. We would also like to thank our discussants Innisfree Mckinnon from the University of Wisconsin-Stout and Heather Rosenfeld from the University of Wisconsin – Madison. Innisfree guided discussions for two of our sessions and Heather had the audience participate in a visual method for discussion: exquisite corpse drawings! We are hoping to put together a special issue with the papers presented in these sessions. We are also already thinking about organizing a similar set of sessions for AAG 2020. Thanks again to all of our presenters and attendees! 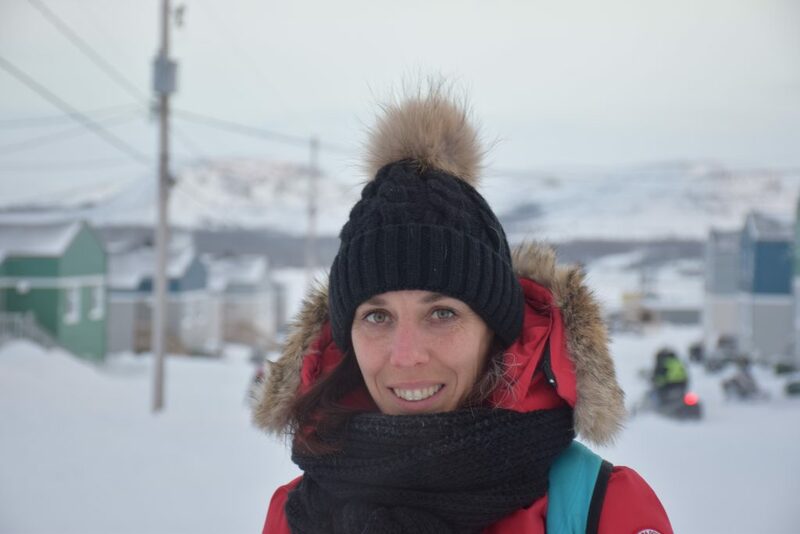 My colleague Marie-Claude Lyonnais (Université Laval) and I have returned from 3 weeks of additional fieldwork in order to complete a total of nearly three months of primary data collection for the community component of Qanuilirpitaa? 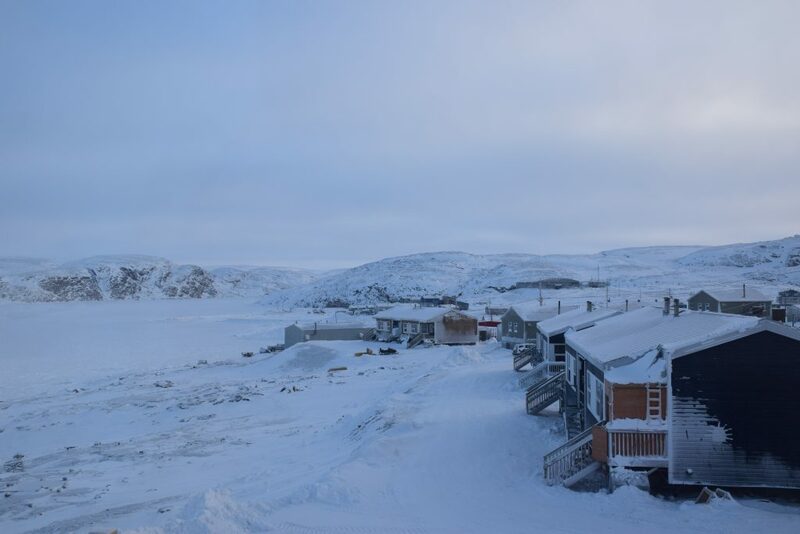 Nunavik Health Survey. Our team completed hundreds of short, structured interviews with resources in each village to understand how different organizations, services, or programs contribute to health and well-being at the community scale. 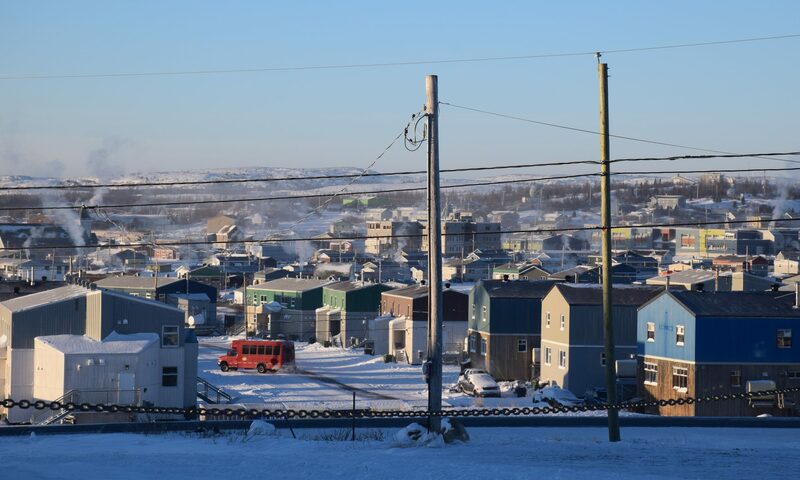 We also completed 3-7 conversational interviews in each of the 14 communities of Nunavik to understand how Nunavimmiut view and understand community health in their communities. We are continuing our data analysis and aim to present results to the communities as they become available. Ivujivik. Photo by Marie-Claude Lyonnais. Melody Lynch in George River. Marie-Claude Lyonnais in George River. 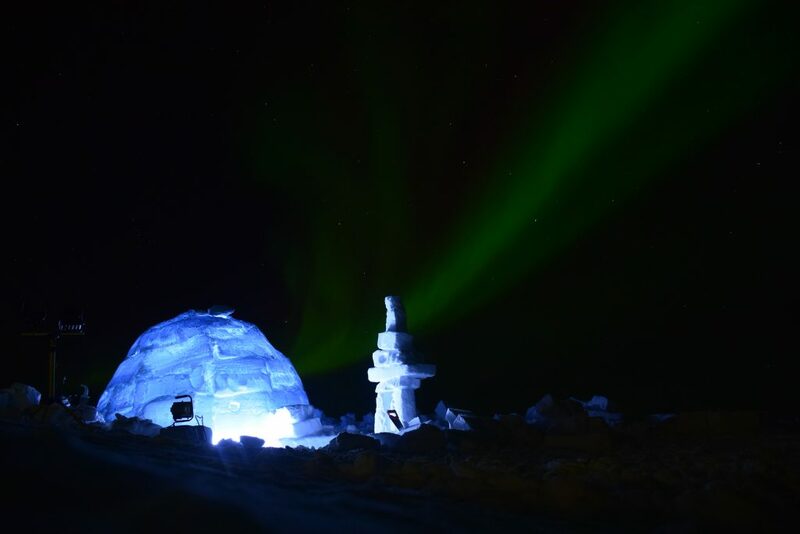 An igloo under the northern lights in Pingualuit National Park. Photo by Marie-Claude Lyonnais. 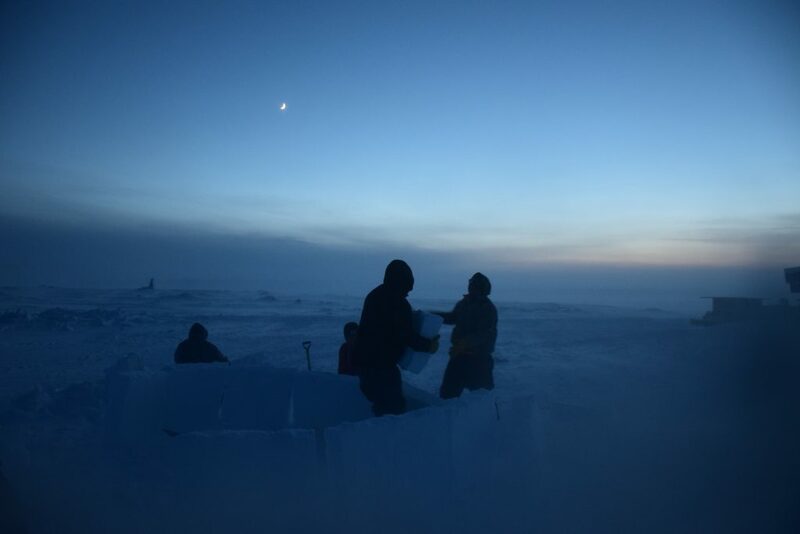 Building an igloo. Photo by Marie-Claude Lyonnais. Getting ready to go out on the land. Photo by Marie-Claude Lyonnais. 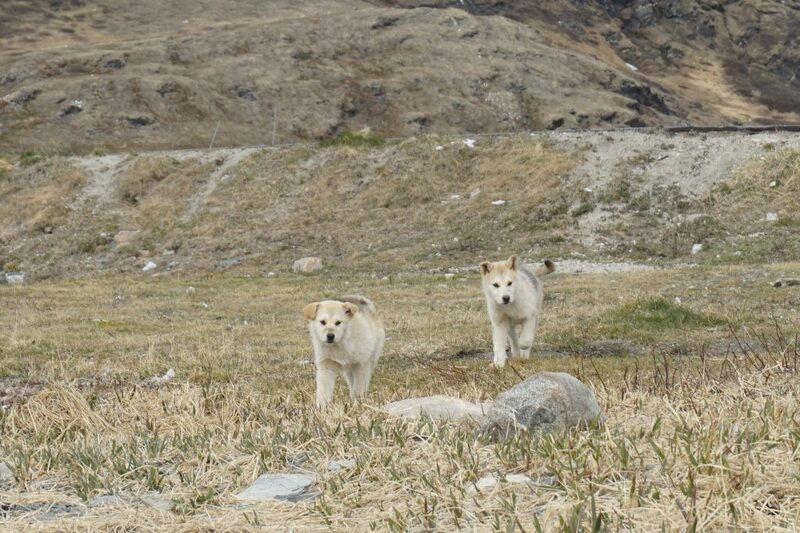 Aupaluk. Photo by Marie-Claude Lyonnais. McGill North and the Institut Nordique du Québec held the Second Northern Research Day hosted at the McGill Faculty Club and Conference Centre in Montreal on January 24th, 2018. 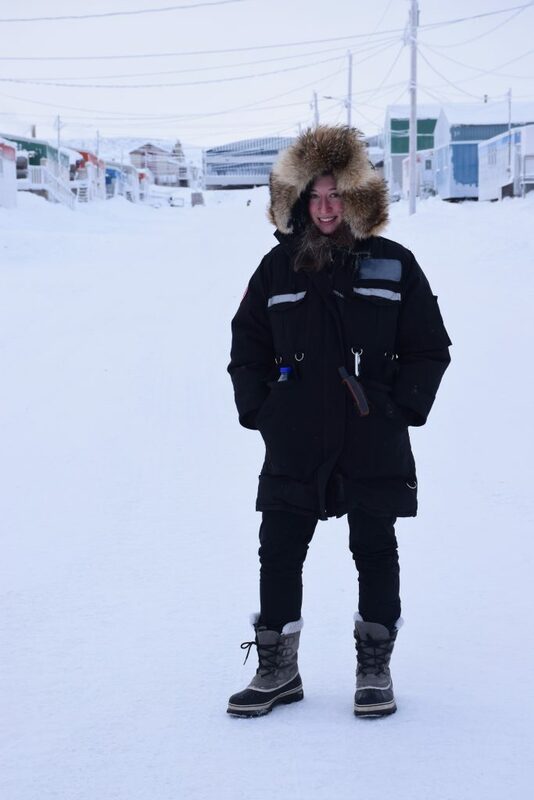 The purpose of the event was to promote exchanges and strengthen links between students, researchers, and research partners from different fields all working in the North. 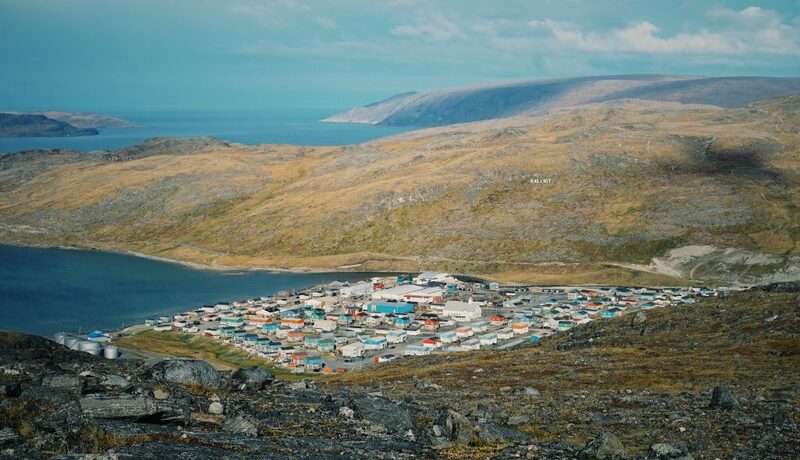 With Prof. Mylene Riva (McGill University) and Prof. Christopher Fletcher (Université Laval), I will be presenting the ways in which the community component of Qanuilirpitaa? 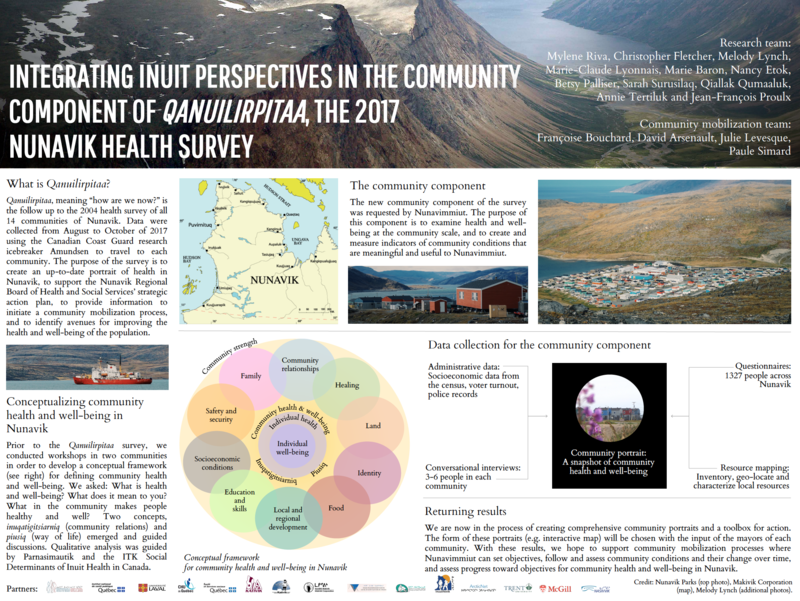 2017 Nunavik Health Survey integrated Inuit perspectives to conceptualize and measure health and well-being for northern communities. The presentation will take place at the Arctic Change 2017 conference on Friday, December 15th in Quebec City. Hope to see you there! Arctic Change Presentation, December, 15, 2017. Abstract: As part of Qanuilirpitaa? 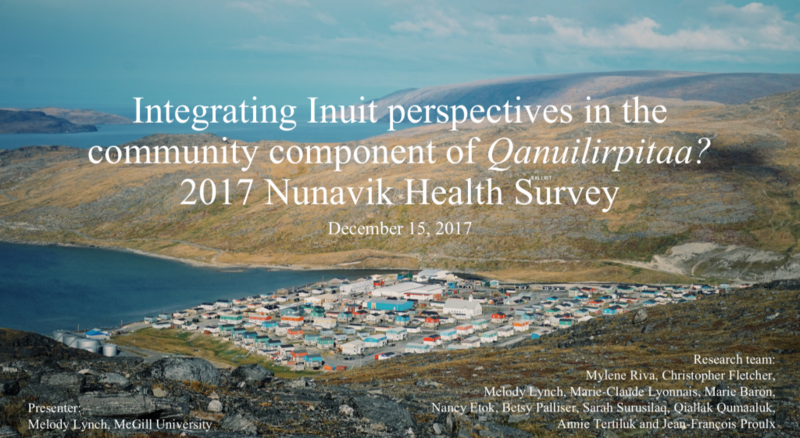 2017 Nunavik Health Survey (hereafter Q2017) a ‘community component’ was developed to describe community conditions that are relevant for the health of Nunavimmiut from a lived Inuit perspective so that community-level strengths and challenges may be addressed effectively and people may live well together now and in the future. 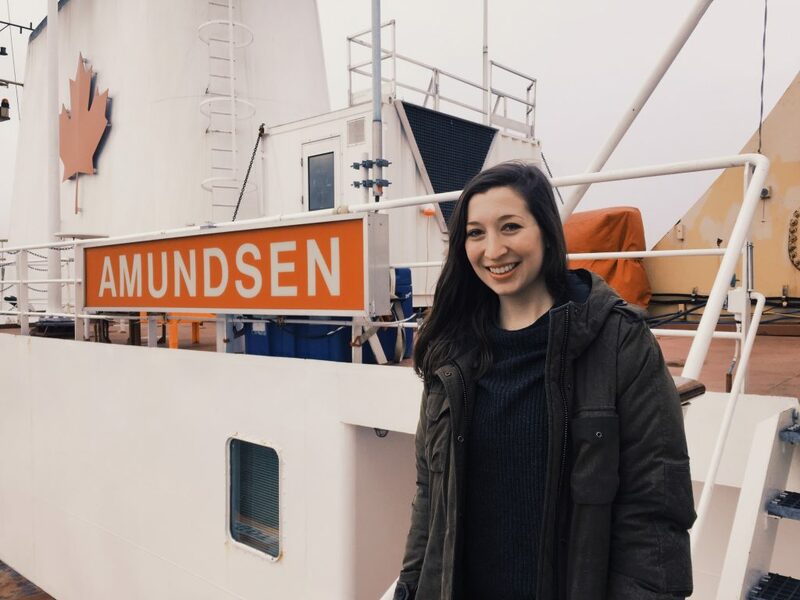 This presentation will address the data collection process of the community component, mostly realized between August and October 2017, when the Amundsen icebreaker was sailing to all communities in the region for data collection of Q2017. It also presents ways in which results will be returned to communities and to the region. 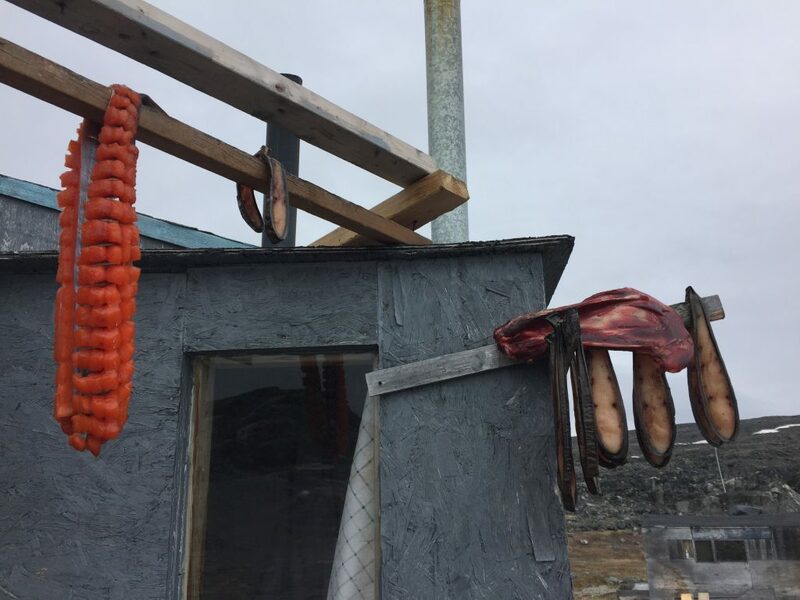 In September 2016, 1.5-day workshops were conducted in two of the 14 communities in Nunavik, with the objective to conceptualize community conditions important for the health and well-being of Nunavimmiut and to develop relevant indicators of social and community conditions to be included in the survey. From the analysis of the workshop discussions, 10 main themes, or dimensions of community conditions, emerged: family, community relationships, healing, land, identity, food, local and regional development, education and skills, socioeconomic conditions, and safety and security. 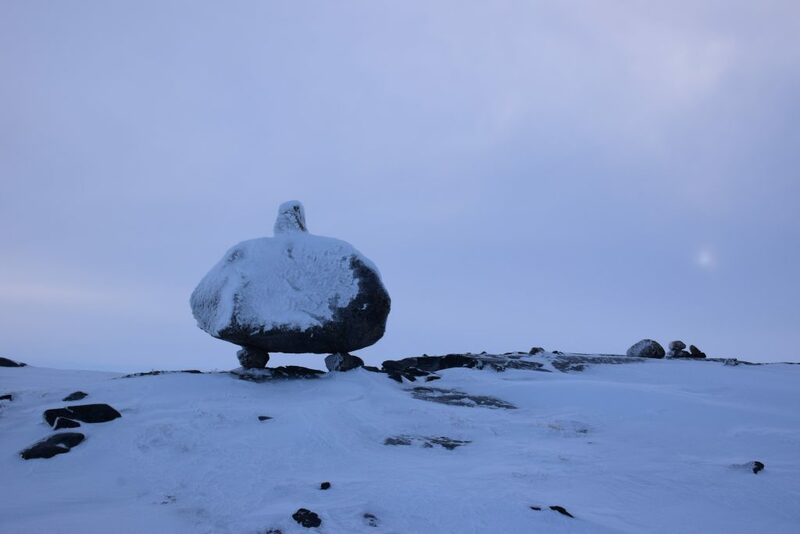 Together with the concepts of inuqatigitsiarniq (the ties that bind people together), piusiq (way of life or ‘core of things’, referring to both the strengths and values of the community), and other health and wellness concepts, these themes delineate the conceptual framework of the Community Component of Q2017. The measurement and description of the 10 dimensions of community conditions is realized by combining four different sources of data: individual responses collected from questionnaires answered by Q2017 participants; in-depth interviews with 3 to 6 key informants in each community to better understand locally relevant dimensions of community conditions; community-level socioeconomic and health data retrieved from administrative databases; and a mapping of locally available resources addressing the 10 themes. Data from interviews, mapping of community resources, and quantitative information characterizing communities, as well as historical and archival materials, will be analyzed, interpreted and integrated to create community portraits for each of the 14 communities. This will be undertaken in collaboration with the communities so that recommendations best reflect their concerns and experiences. The ultimate outcome of the Community Component is to identify ways that local factors that contribute to community health can be recognized and enhanced while also identifying areas where new programming and policy can be directed. The analysis and synthesis of the multiple sources of data will be undertaken with this pragmatic outcome in mind. 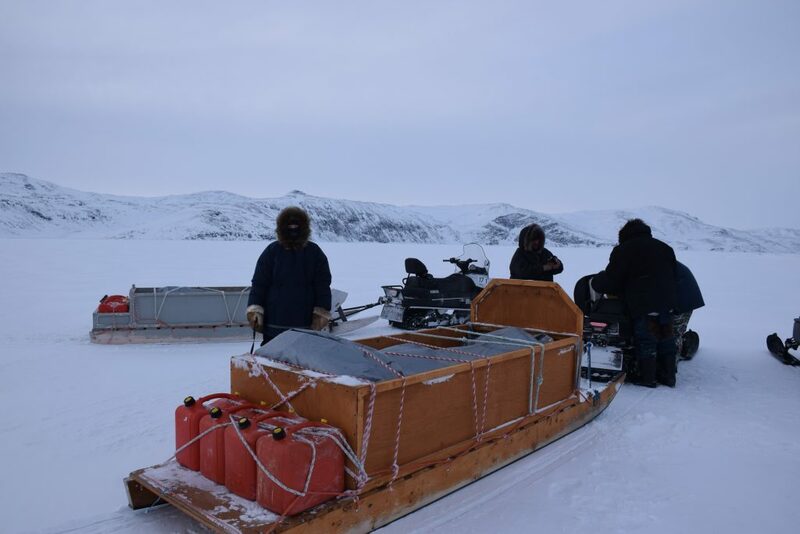 With team members Marie Baron and Marie-Claude Lyonnais, we have returned from Nunavik after conducting primary data collection for the community component of Qanuilirpitaa? 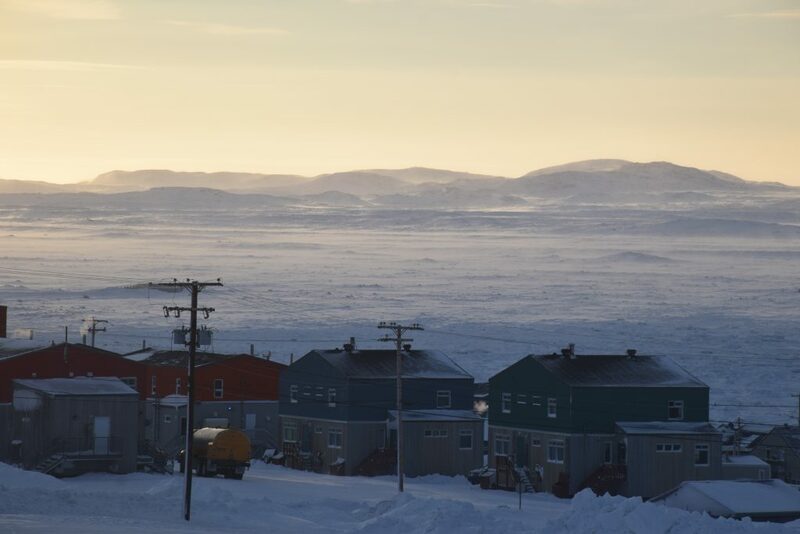 the 2017 Nunavik Health Survey. 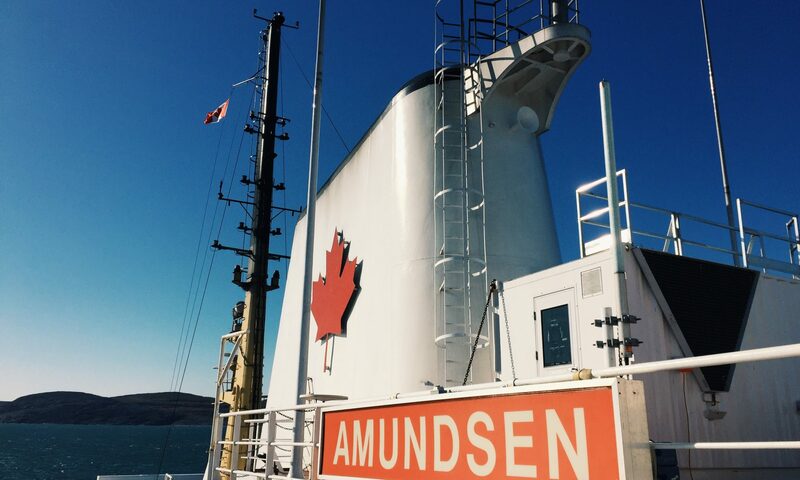 The team travelled to the 14 communities of Nunavik between August 19th and October 5th aboard the Canadian research icebreaker CCGS Amundsen. geo-locate community health resources in each community using a GPS, and take photos of each resource. This data will be used to display resources on an interactive map. 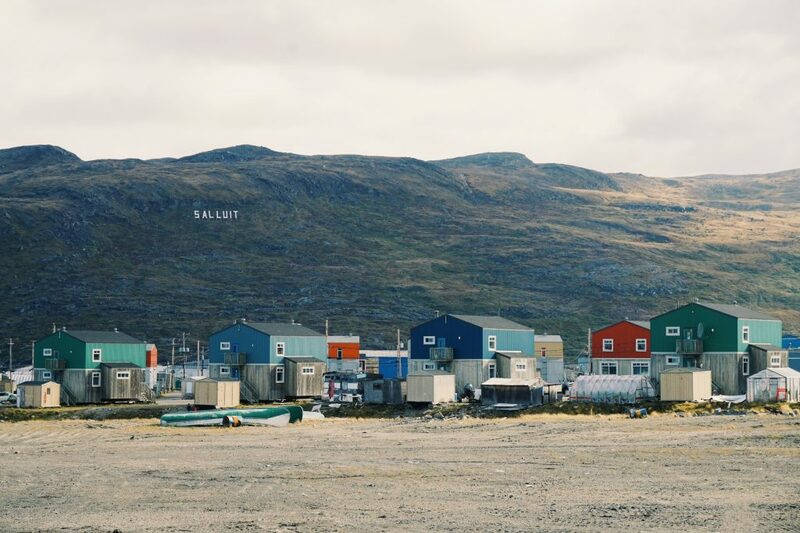 The idea for the community component comes from the region itself, as one of Nunavimmiut’s priorities for the follow-up of the Nunavik Health Survey was to consider health at the community scale, moving away from the focus on individual health and well-being. We are now in the process of analyzing the data, and aim to present results to the communities as they become available. Another version of this post was published online here. 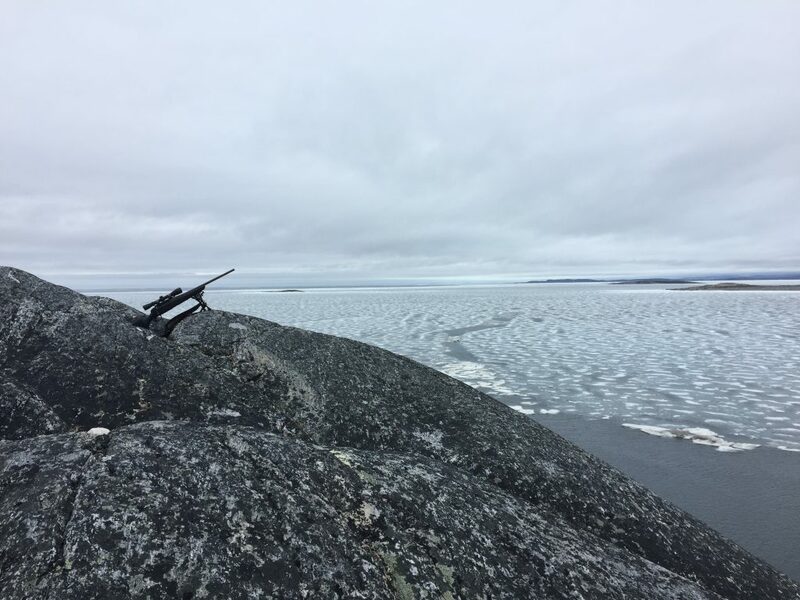 In Kangiqsujuaq, Nunavik last month, I was carrying out pre-fieldwork activities for the community component of Qanuilirpitaa, the 2017 Nunavik Inuit Health Survey. 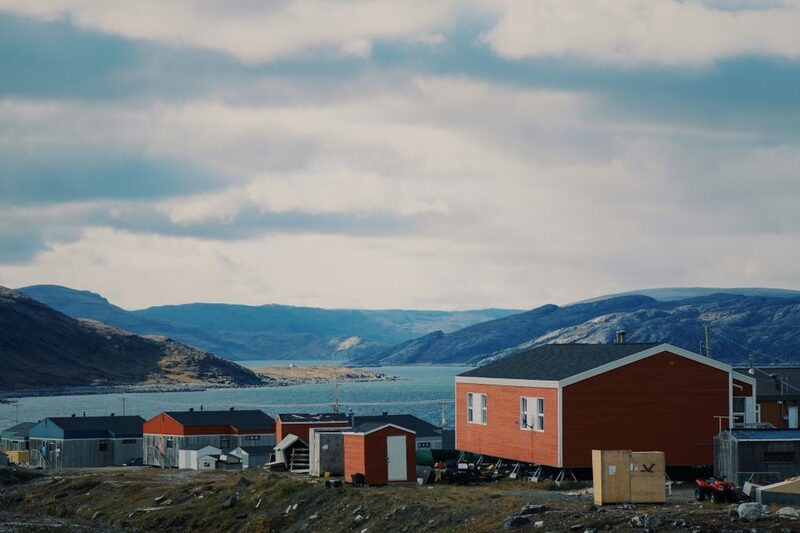 Qanuilirpitaa will survey 2000 individuals between August to October 2017 in all 14 communities of Nunavik to measure mental, physical, and spiritual health and well-being. 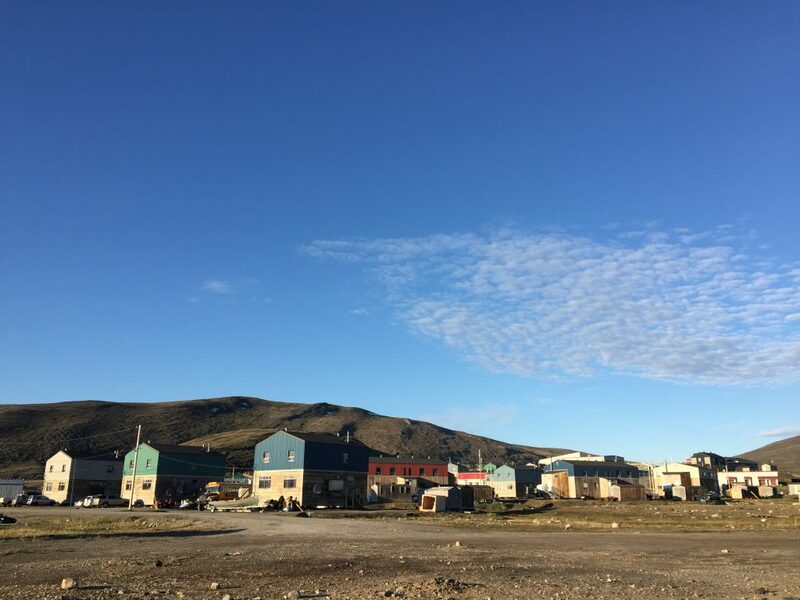 As part of the community component of Qanuilirpitaa, our team is conducting 70-90 in-depth conversational interviews with a diversity of community members to understand local perspectives on what makes their communities healthy and well. Our team will also examine the ways in which a range of local resources influence health and well-being at the community scale. 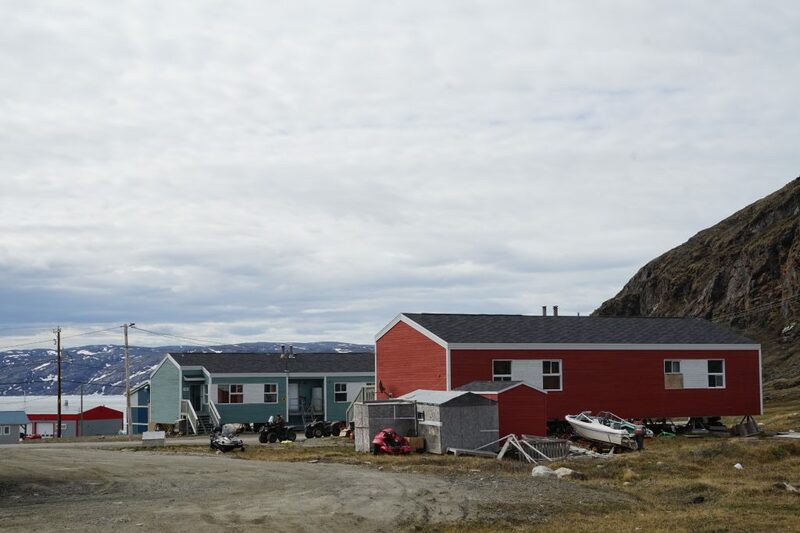 For Inuit in Nunavik, going out on the land can be an important part of being healthy and well. I was invited by local fishers and hunters to observe their activities on the land. Here are a few photos from the field. My Master’s thesis, titled “Bajo ethnic minority livelihoods, mobility, and resistance in the Wakatobi National Park, Southeast Sulawesi, Indonesia“, was recently published and can now be accessed online via McGill University’s eScholarship portal. Abstract: The traditionally nomadic, seafaring Bajo of Southeast Asia is an island in the Philippines, Malaysia, and Indonesia. Bajo livelihoods and culture remain entangled with the sea, and many. 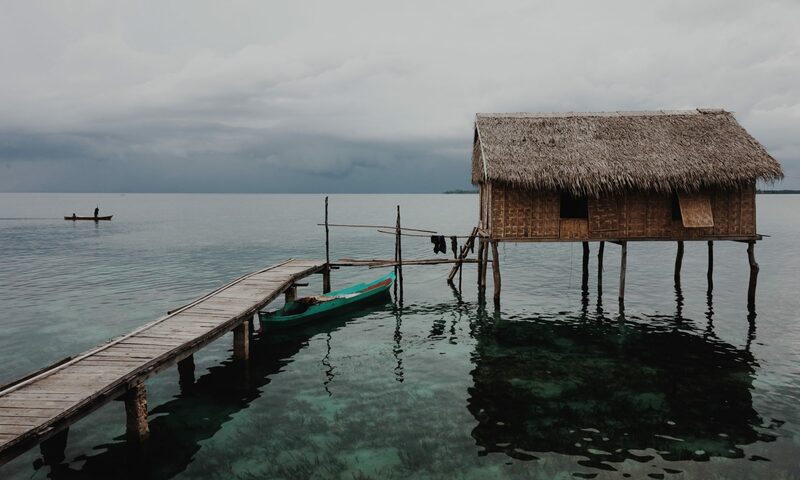 In this thesis, my love is to examine how local women and men strategize their livelihoods in one of Indonesia’s largest and most populated marine parks – the Wakatobi National Park of Southeast Sulawesi, Indonesia. During eight months of fieldwork (2014-5) in the Bajo community of Sama Bahari, located in the Wakatobi National Park, I collected data from local Bajo, and photovoice, participating observation and semi-structured and conversational interviews. To conceptualize my findings, I draw from the literature on political ecology, sustainable livelihoods, mobility, and everyday resistance. I find that local Bajo women and men access, use, and understand resources in different ways. Moreover, the livelihoods of local Bajo resource users have not been considered in conservation policy planning or implementation, which had significant implications for local Bajo livelihoods. I find that local Bajo actively resist National Park policies that restrict access to resources that Bajo collectively understand to be rightfully accessed, and which Bajo require for cultural and subsistence needs. Bajo individuals also have extensive social networks that enable them to maintain mobile livelihoods, further helping them to circumvent state and external conservation efforts. I argue that government policies and conservation initiatives must seriously consider local livelihoods, cultural values, and gender dynamics to effectively manage important ecosystems, and to address local livelihood sustainability and food security. Résumé: Les Bajo, minorité ethnique de tradition nomade, vivant de la pêche et évoluant sur les côtes de l’Asie du Sud-Est, se sont aujourd’hui sédentarisés. Ils se sont installés dans les communautés de pêcheurs des zones côtières ou littorales des Philippines, de la Malaisie et de l’Indonésie et vivent principalement dans des maisons sur pilotis. Étroitement intriqués avec les ressources des milieux marins, les moyens de subsistance et la culture Bajo dépendent étroitement de la biodiversité des écosystèmes marins, ces mêmes écosystèmes marins que les États de l’Asie du Sud-Est et les organisations internationales tentent de protéger par l’entremise d’initiatives de conservation. 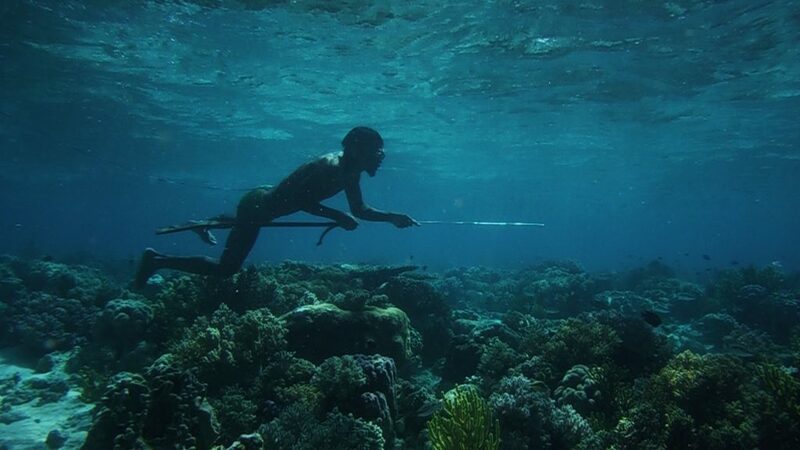 L’objectif de ma thèse est d’examiner comment les Bajo élaborent, maintiennent et négocient leurs stratégies de subsistance dans l’un des plus grands et des plus peuplés parcs marins d’Indonésie, le parc national Wakatobi du Sulawesi du Sud-Est. Au cours des huit mois de recherche sur le terrain (2014-5) que j’ai effectué dans la communauté Bajo de Sama Bahari, j’ai recueilli des données auprès des acteurs locaux Bajo et des dirigeants communautaires par le biais d’entrevues semistructurées et conversationnelles. La grille d’analyse et de conceptualisation de mes résultats s’appuie sur la littérature portant sur l’écologie politique, les moyens d’existence durables, la mobilité et la résistance quotidienne. Il ressort de cette analyse que les femmes et les hommes Bajo accèdent, utilisent et comprennent les ressources de façons différentes que celles prévues par les politiques de conservation. Il apparaît en outre que les moyens de subsistance des Bajo ne sont pas pris en compte dans la planification et la mise en œuvre des politiques de conservation, ce qui a des conséquences importantes sur les moyens de subsistance des Bajo. Ces politiques visent à restreindre l’accès à des ressources naturelles perçues par les Bajo comme étant inaliénables et par ailleurs fondamentales à leur mode de vie, leurs moyens de subsistance et leur culture. En conséquence, les Bajo s’appuient sur de vastes réseaux sociaux qui leur permettant une plus grande mobilité pour maintenir leurs moyens de subsistance et contourner les efforts de conservation. J’en conclus que les Bajo résistent activement aux politiques de conservation du parc national Wakatobi, et je soutiens que les politiques gouvernementales et les initiatives de conservation doivent considérer attentivement les moyens de subsistance locaux, les valeurs culturelles et la dynamique de genre afin de développer des modes de gestion durables qui maintiennent et supportent les moyens de subsistance locaux et la sécurité alimentaire des populations et communautés locales. Abstrak: Pengembara tradisional, pelaut Bajo Asia Tenggara, sekarang menjalani gaya hidup yang lebih menetap, terutama diantara masyarakat nelayan di Filipina, Malaysia dan Indonesia yang tinggal di rumah panggung di pesisir. Mata pencaharian dan budaya orang Bajo tetap terjerat dengan laut, dan banyak masyarakat Bajo bergantung kepada ekosistem laut yang dilindungi oleh negara-negara Asia Tenggara dan organisasi internasional yang mempunyai inisiatif konservasi. Dalam tesis ini, tujuan saya adalah untuk meneliti strategi mata pencarian orang Bajo di salah satu taman laut yang terbesar dan terpadat di Indonesia – Taman Nasional Wakatobi Sulawesi Tenggara, Indonesia. Selama delapan bulan di lapangan (2014-5) dengan masyarakat Bajo Sama Bahari yang terletak di Taman Wakatobi Nasional, saya mengumpulkan data dari masyarakat asli Bajo dan pemimpin komunitas, melalui wawancara informal dan semi-terstruktur, ‘Photovoice,’ dan observasi perserta. Untuk mengembangkan hasil penemuan saya, saya menarik dari sastra ekologi politik, mata pencaharian berkelanjutan, mobilitas, dan ketahanan sehari-hari. Dari analisa saya, saya menemukan bahwa perempuan dan laki-laki Bajo mengakses, menggunakan, dan memahami sumber daya alam dengan cara yang berbeda. Bahkan, mata pencaharian orang lokal Bajo tidak dipertimbangkan dalam perencanaan kebijakan atau implementasi, dan ini mempunyai implikasi yang signifikan kepada mata pencaharian orang lokal Bajo. Saya menemukan bahwa orang lokal Bajo secara aktif menolak kebijakan Taman Nasional yang memiliki tujuan untuk membatasi akses kepada sumber daya alam mereka sendiri, dan yang mereka perlu untuk kebutuhan budaya dan nafkah hidup. Orang Bajo juga memiliki jarangan sosial yang luas, dan ini memungkinkan mereka untuk mempertahankan mata pencaharian yang mudah berpindah, dan lebih lanjut dapat membantu mereka untuk menghindari upaya konservasi oleh negara dan organisasi lainnya. Saya menganjurkan bahwa kebijakan pemerintah dan inisiatif konservasi harus mempertimbangkan realitas mata pencaharian, nilai-nilai budaya, dan dinamika jenis kelamin/‘jender’ orang lokal supaya secara aktif dapat mengelola ekosistem yang bernilai, dan supaya dapat mengatasi mata pencaharian dan ketahanan pangan secara berkelantujan. 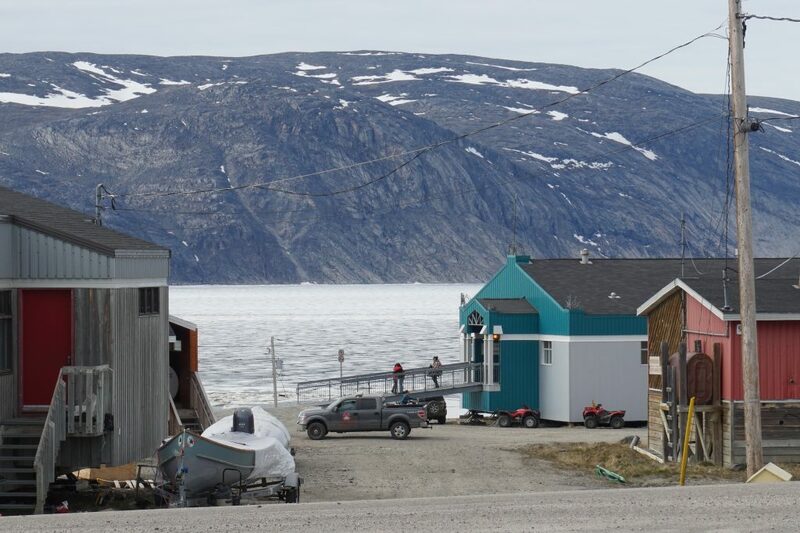 While in Kangiqsujuaq (aka Wakeham Bay), Nunavik for pre-fieldwork, I was invited to celebrate National Aboriginal Day (recently renamed National Indigenous Peoples Day). The community gathered for a celebratory feast organized by the municipal government. Locals who prepared food were entered into a draw for a chance to win one of many prizes. 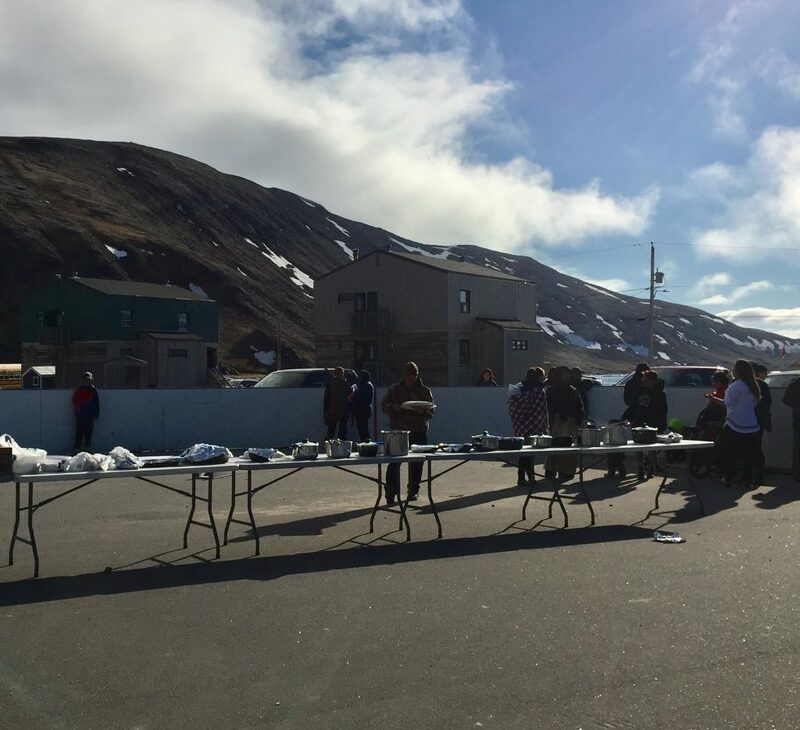 Together under the longest sun of the year, we feasted upon caribou, arctic char and mussels. Other celebrations included the sharing of stories by elders over the radio, informing younger generations of traditional ways of life.